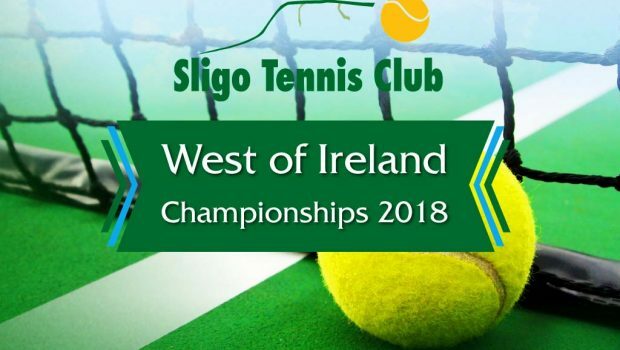 I would like to extend a warm welcome to all the participants in the West of Ireland Tennis Championships 2018, especially those of you who have travelled from all corners of the country! The West of Ireland Tennis Championships has a long history in Sligo. It was revived in 1986 after a gap of 25 years, and has been running each year for the past 33 years. This year we have 173 participants over 15 events, which will no doubt bring plenty of competitive matches across all categories. I would like to thank those who are making their courts available for the tournament, without which we would not be able to cater for the numbers wishing to play. I would also like to thank the tournament sponsors, without whom the tournament could not happen. Dare I say it, but the weather is promised fine for the weekend so I wish everyone a very enjoyable weekend of sunshine, tennis and fun!